Shortly after sunrise on 29 October 1992, 60051 Mary Somerville passes Challow with the very late running 6O43 02:07 Hallen Marsh to Eastleigh empty LPG tanks. The tanks would later be tripped to Furzebrook for refilling. 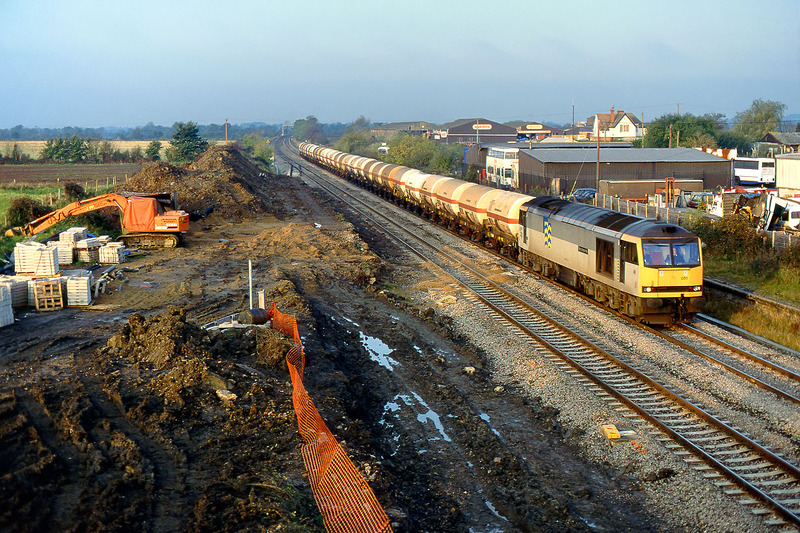 The extensive works taking place on the site of the old station are in connection with the reinstatement of the relief lines from here to Wantage Road. The trailing point for the down relief has already been installed, and the old platform in the foreground has just been obliterated.